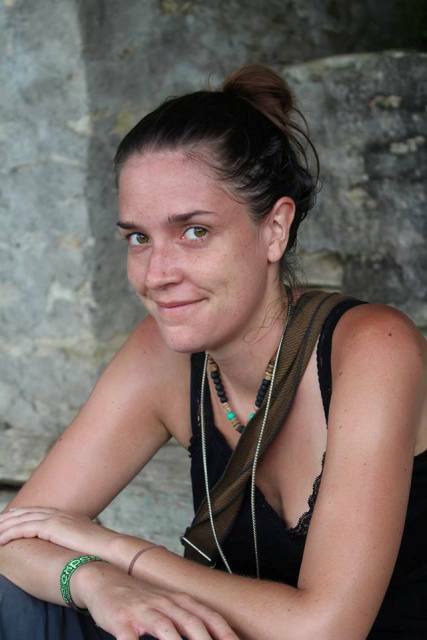 When I traveled from Ladakh to Delhi I felt lonely because I was alone again. 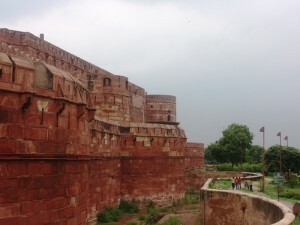 But this feeling did not last long because while I was buying a ticket to Amritsar at the station in New Delhi in the office for tourists I met a group of great people from Spain. I found out they will also go there the next day, but they want to go by evening train. All the more I was delighted when I coincidentally met them in Amritsar train station. The next few days I spent with them and I have really good memories of Amritsar in Pujab in India. We enjoyed every minute in this town and the Complex Golden Temple. 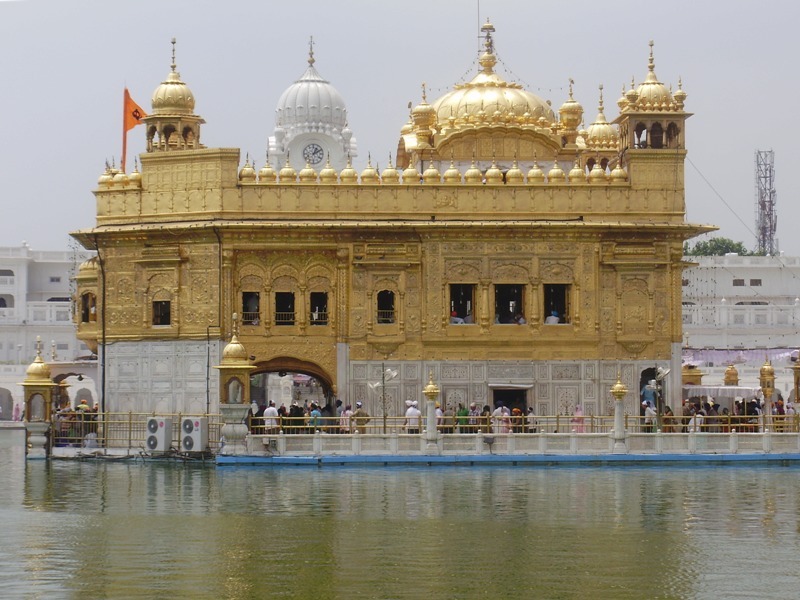 I would like to share with you activities and things do to in Golden Temple and I hope this list will help you, when you travel to the holiest Sikh city Amritsar. When you enter the complex you have to take off your shoes and you put them aside in storage space. 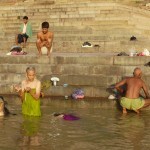 Then you have to wash your feet in water, located just before the entrance. You must be properly dressed and your head has to be covered. If you didn’t bring scarf you can buy or lend one in front of main entrance for a small fee. You should also know that eating a meat, smoking and drinking alcohol is strictly prohibited. 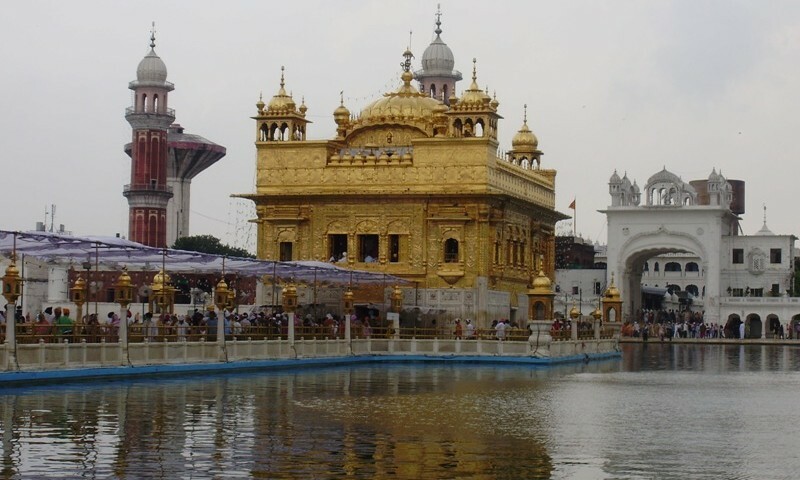 If you get into the complex, you’ll want to visit the Golden Temple itself. 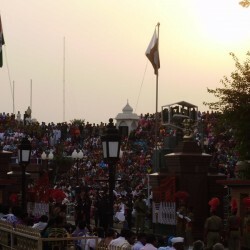 Because it is daily visited by up to 100,000 people, you will need some time to stand in line on the bridge. 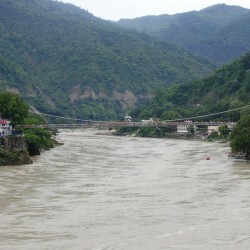 This bridge is called Guru’s Bridge and symbolizes the journey of the soul after death. This waiting is not terrible, because when you’re closer to golden temple you can admire the details and architecture of the building. You will hear the sound of the prayers from the temple which is spread throughout the whole complex. Inside the Golden Temple you have to walk clockwise. 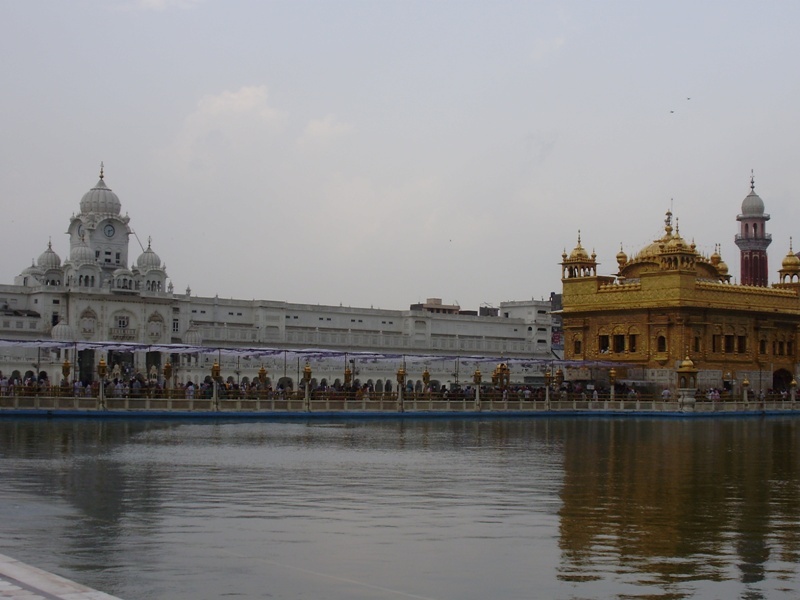 During the day there is the holiest text of Sikhism inside the Golden Temple, which at night is not possible to see. The whole complex has a unique magical atmosphere at night. 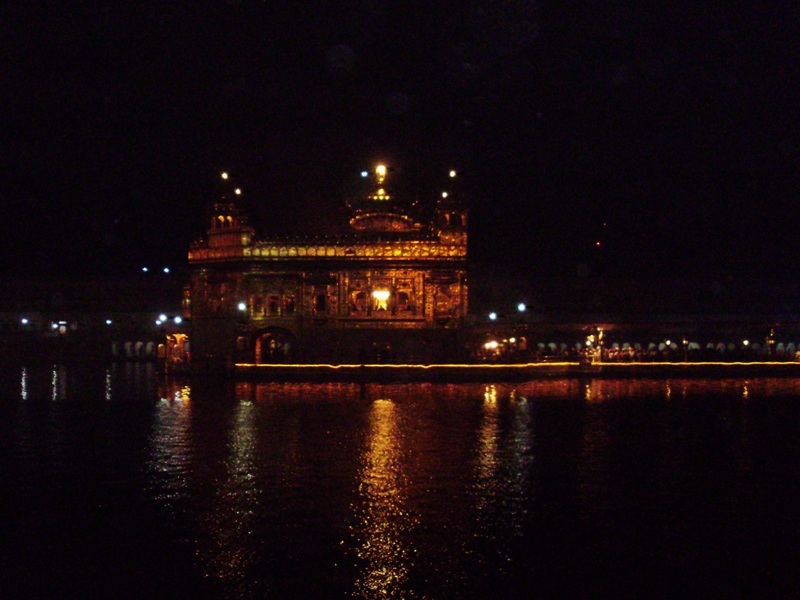 The holy book of Sikhism is present inside the Golden Temple during the night time. Sounds of prayers appear stronger and tranquility you can feel there during a day is enhanced. 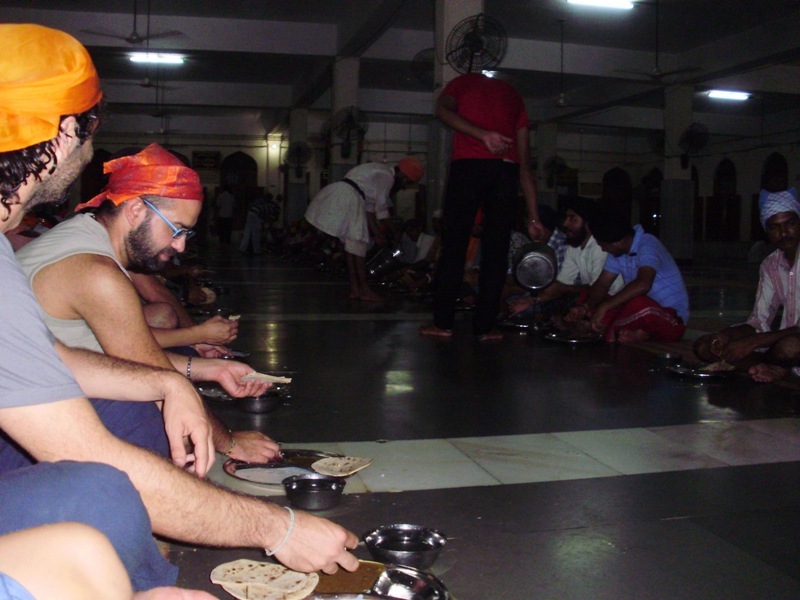 In the Golden Temple complex is a huge dining hall, which served free food. It is one of the largest free kitchens in the world. Get in line and when you access to the interior, obey instructions from the staff who will tell you where you can sit. There is perfect organization inside. When you sit down, wait until they bring food to you. 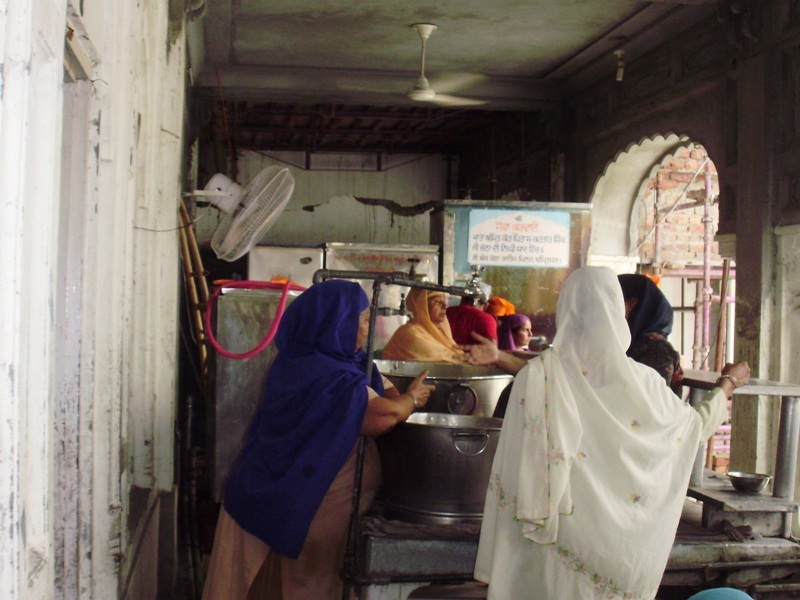 If you want to fully enjoy Golden Temple you can help in the kitchen as a volunteer. The work is not difficult and it’s quite fun. You can assist in cooking meals or helping wash the dishes. Everything has its own system and staff will show you what to do. After the evening meal, we lay down on the edge of the lake. Our heads had to be oriented to the Golden Temple. 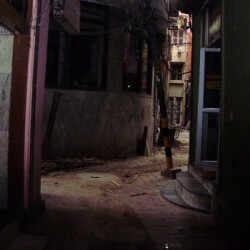 We didn’t talk, closed our eyes and perceive the sounds and feelings we have of this place. 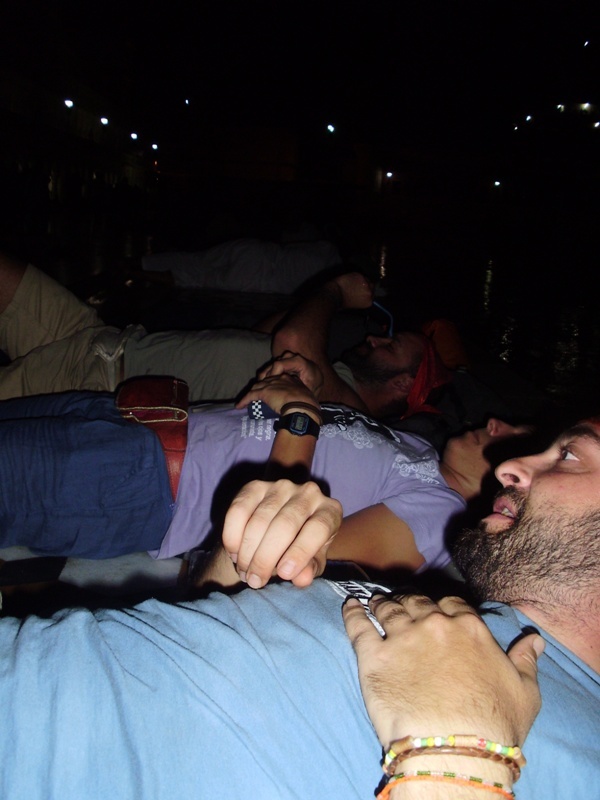 For me it was probably the best experience in Golden Temple. Join people in the crowd who walk around the lake. You will see the Golden Temple from each side. 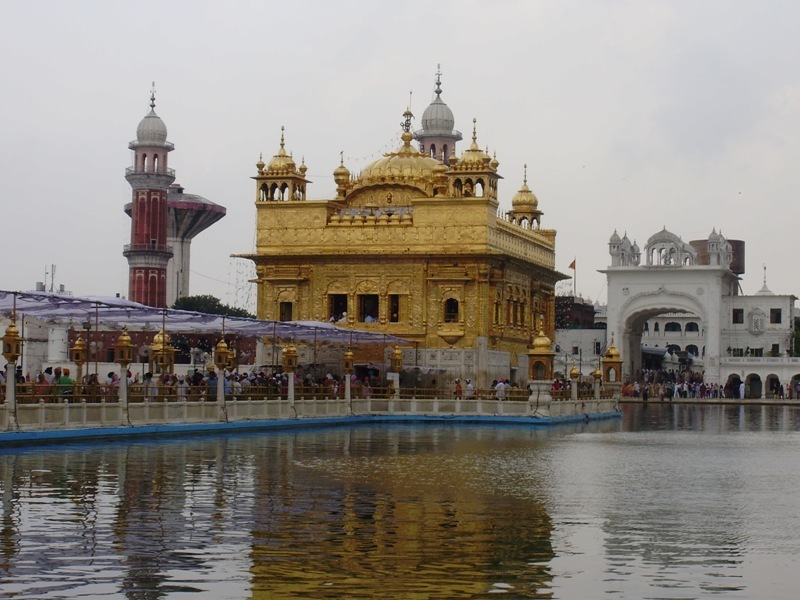 Note that the Golden Temple has four entrances to symbolize openness to all people and religions of the world. 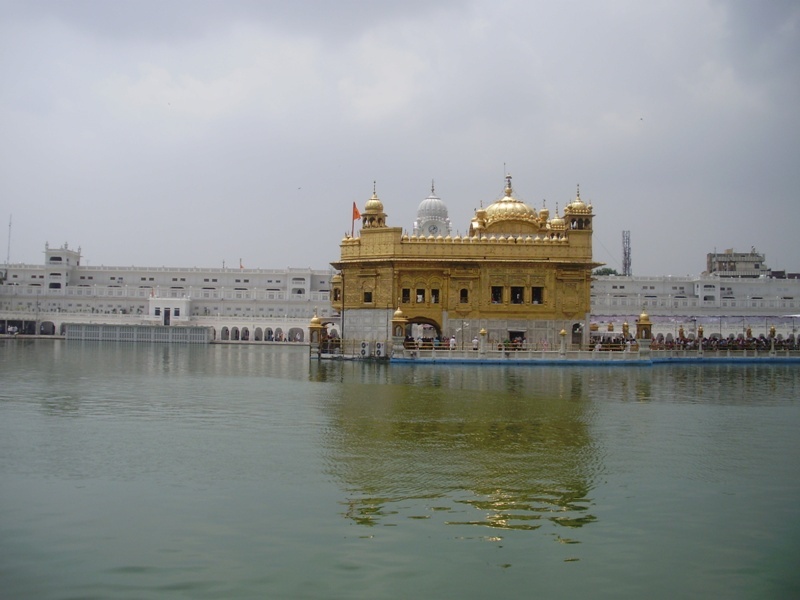 The complex has three sacred trees that symbolize signifying a historical event or Sikh Saint. Next to one tree there are steps to the floor. There is a terrace, which is a good scenic spot. 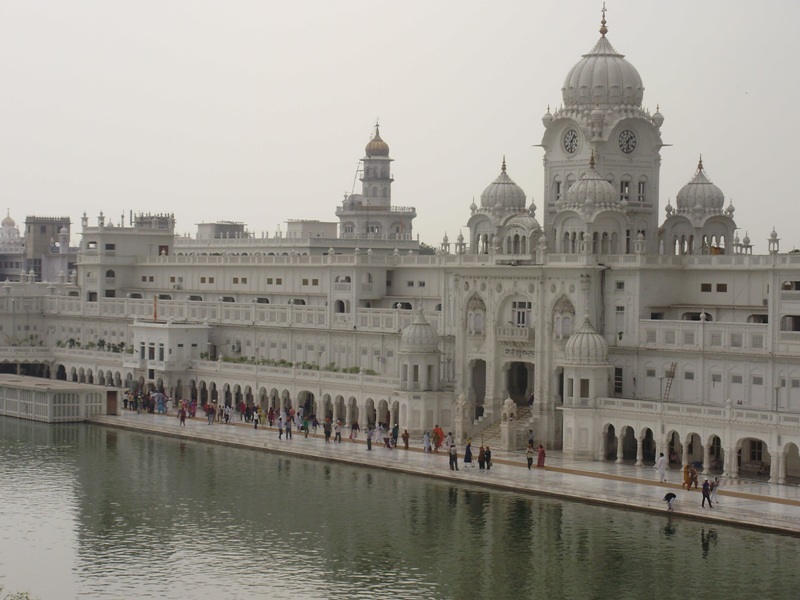 You can observe the life of the Golden Temple from above and admire beautiful white buildings around the lake. There is not only beautiful Golden Temple inside the complex, but other interesting buildings as well. You can see beautiful architecture and snow-white color palaces. 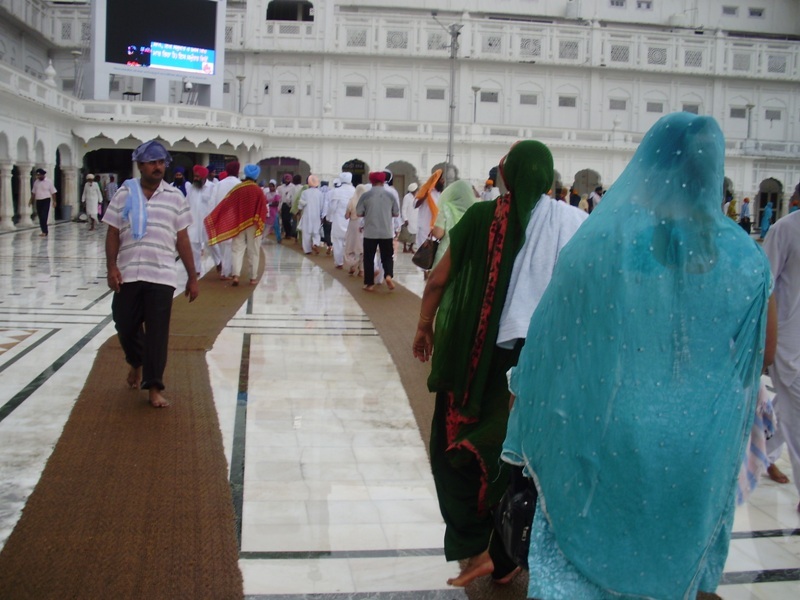 One of the surrounding buildings is Guest Quarters available for international Sikh visitors and there are at least 400 simple rooms are provided to Sikh pilgrims. 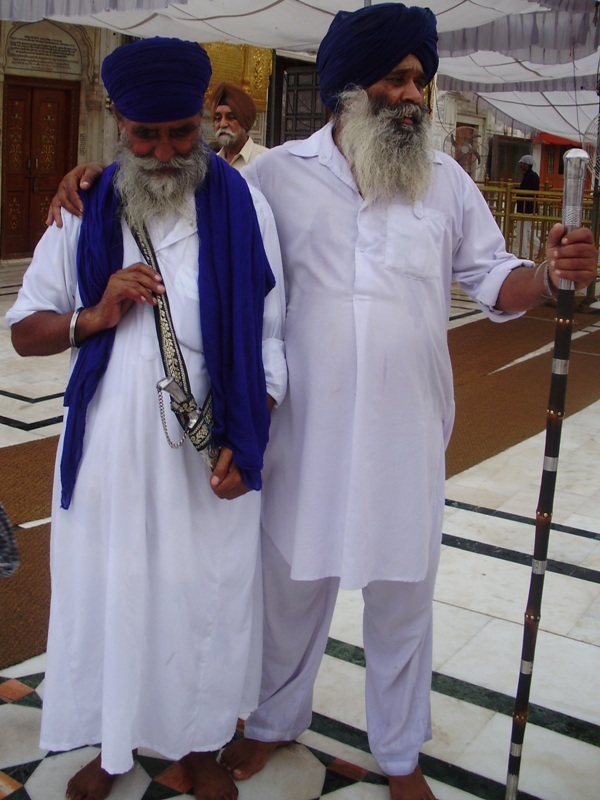 As I found out in Punjab and especially in Amritsar Sikhs are very friendly people. 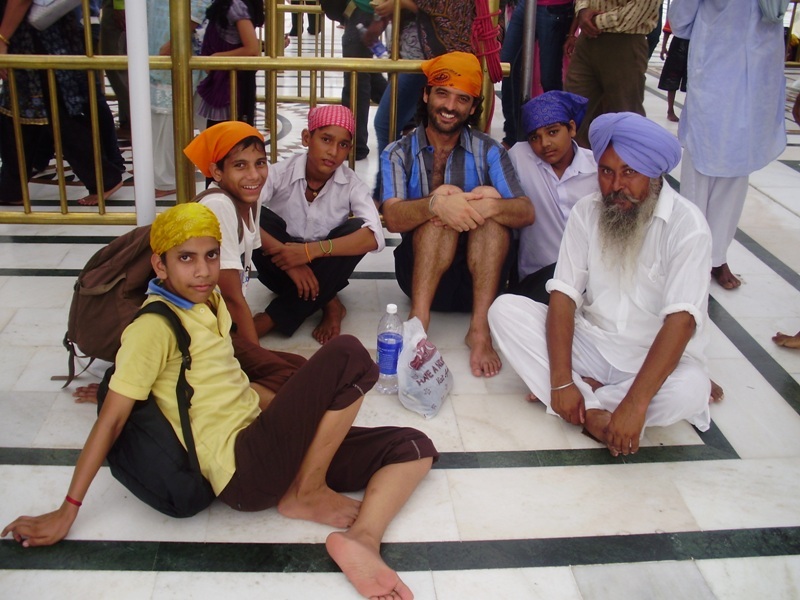 I spoke a lot with them in Golden Temple complex, because I was curious about many strange things I saw. They were always willing to explain me everything what I was asking. They told me a lot about their religion and customs and explained me about 5ks. There are 5 words that begin with the letter K and mean Articles of faith that collectively form the external identity and “Sikh way of life”: uncut hair, a wooden comb, a metal bracelet, a specific style of cotton undergarments and curved sword. If you are curious about something do not hesitate and ask them. 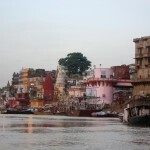 Lake which is situated around golden temple has its own symbolism. 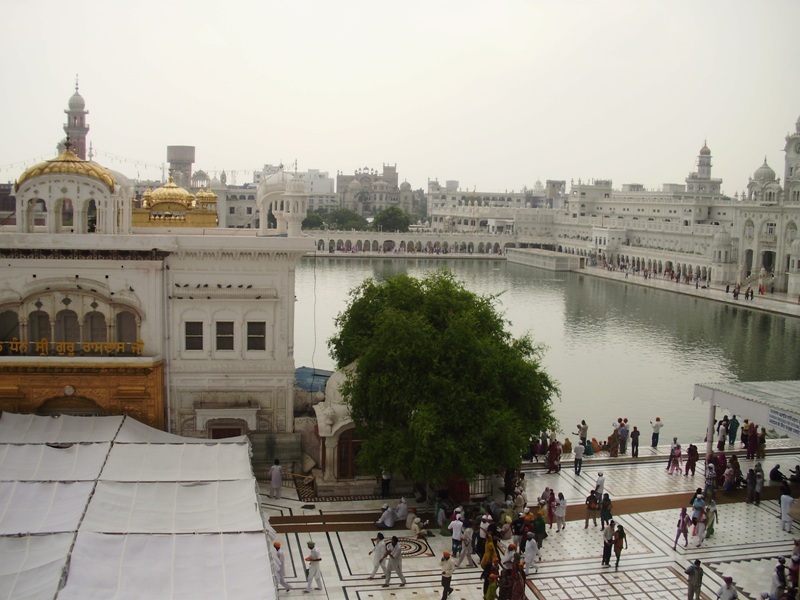 It is said that this large lake or holy tank consists of Amrit – “holy water” or “immortal nectar”. 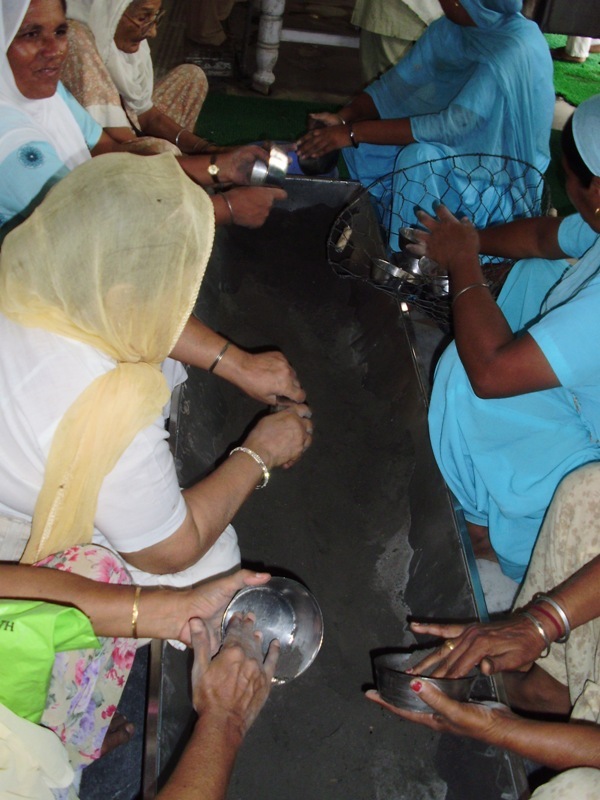 So if you want to try Sikh ritual wash your hands and face in the water.